Hostel Celica in Ljubljana, Slovenia was proclaimed for hostel #1 by Lonely Planet and awarded the title of Hippest Hostel in the World. INCLUDED IN PRICE: buffet breakfast, tourist tax! 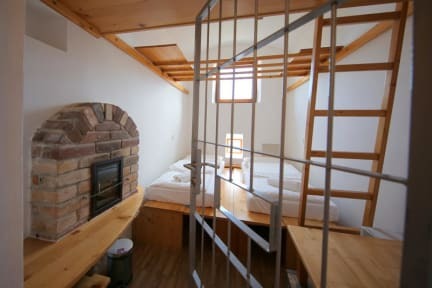 Hostel Celica is the first real year-round opened hostel in Ljubljana, situated in the centre of Ljubljana. Hostel CELICA is an artistically renovated former prison turned into a hostel. You can experience to sleep into a former cell with bars on the door and on the window. There are 20 cells, which were artistically renovated a priceless work of art. 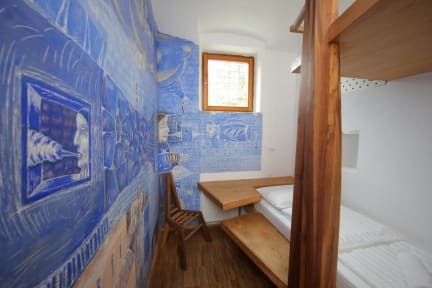 Search for your favourite cell: sleep 20 nights in Hostel CELICA - each night in a different artistically refurbished cell! Situated in the comfortable designed attic there are 6 multi-bedded rooms, an apartment and a dormitory with their own bathrooms. Guided tours of the hostel every day at 2 PM. The reception is open 24/7 and also serves as a tourist information point. Tourist tax (242 SIT) INCLUDED in price ! All cancellations of bookings should be made not later than 2 DAYS BEFORE ARRIVAL. Tourist tax is for Hostelworld guests included in price . Very clean and safe hostel. Stayed in one of the cells and was a little disappointed as the art design was more plain than what is advertised but it’s the luck of the draw as all are different! Nice cafe/common room area downstairs with board games.